PAN or Permanent Account Number is an 10-digit alphanumeric identification number issued by the Income Tax Department. Quoting of PAN is compulsory for filing an income tax return (ITR), a prescribed form through which particulars of income are communicated to the taxman. PAN enables the department to link all transactions made by an individual with him or her. In other words, PAN acts as an identifier for the person with the Income Tax Department. Applications to obtain a PAN card or make changes/correction to the data fed into an existing PAN card can be made online, according to the Income Tax Department’s website – incometaxindia.gov.in. But how to apply for a PAN card and how to check the status of application (PAN card status)? 1. Where to apply for a PAN card online? According to the Income Tax Department, online applications for PAN card can be made through either of the websites of NSDL (National Securities Depository Limited) and UTITSL(UTI Infrastructure Technology And Services Limited). 2. What are the charges to be borne by the PAN applicant? The applicant is required to pay charges to the tune of Rs. 93-864 (plus applicable GST) along with the PAN application. In the applicant enters an Indian communication address in the application, a charge of Rs. 93 (excluding GST) is applicable, and Rs. 864 for a foreign communication address, according to the taxman. The payment of application fee can be made through a credit/debit card, a demand draft or through net banking. 3. What are the documents required to apply for a PAN online? After the submission of PAN application along with payment, the applicant is required to send the supporting documents through courier/post to NSDL or UTITSL. The applicant is required to submit proof of identity, proof of address and proof of date of birth to obtain a PAN. According to depository NSDL’s website, a copy of relevant documents in each category is required for individual applicants. Documents such as Aadhaar card, driving license and passport, among others, are accepted in each category, according to NSDL. Only after the receipt of the documents, PAN application would be processed by NSDL or UTITSL, according to the I-T department. In case of Individual and HUF (Hindu Undivided Family) applicants, if the address for communication is selected as office “then Proof of Office Address along with Proof of residential address is to be submitted to NSDL”, according to the taxman. 4. Which forms to use for offline (without use of internet) PAN applications? The Income Tax Department provides two forms for PAN applications: 49A and 49AA. While Form 49A is to be used by Indian citizens, Form 49AA is for foreign citizens, according to the taxman. 5. 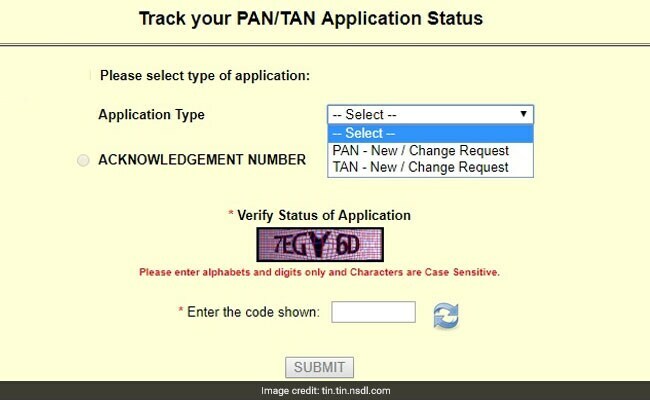 How to check the status of PAN card application (PAN card status)? NSDL and UTITSL allow PAN applicants to check the status of their requests online. Those applying for a PAN through NSDL are required to access the “track PAN” page on the company’s portal and enter details such as the acknowledgement number (from the PAN application) in the given field to obtain the status of their application. 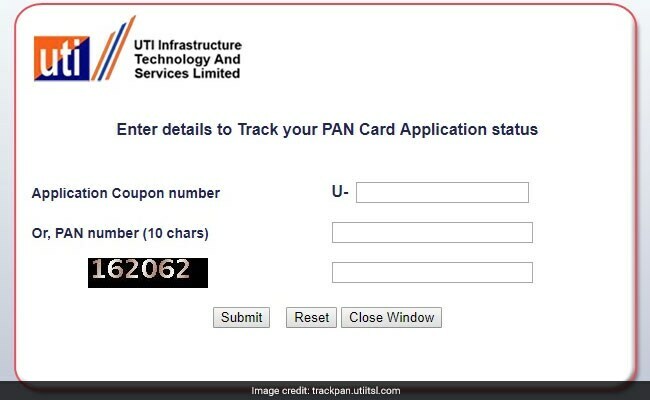 Individuals applying through UTITSL can do the same by accessing the “track PAN card application status” page and entering the application coupon number in the marked space on the company’s website. Individuals are not allowed to hold more than one PAN card, according to tax laws. A penalty of Rs. 10,000 is liable to be imposed under Section 272B of the Income-Tax Act, 1961 for having more than one PAN. If a person has been allotted more than one PAN, he or she should immediately surrender the additional PAN card(s), according to the taxman. How To Determine Fake Currency Notes?